Pregnancy tests, those things you pee on while you're anxiety-crying, actually have another, equally anxiety inducing use: testicular cancer detection. In men. New thing to say to the clerk at CVS in attempt to break the side-eye land speed record: "It's not for me; it's for my boyfriend who might have cancer." 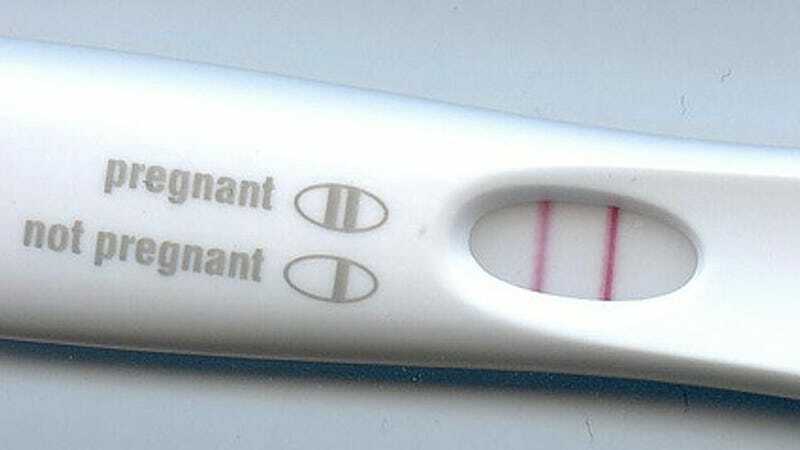 The hulabaloo over men using pregnancy tests started when a Reddit user posted a picture of a positive pregnancy test along with a jocular statement about how totally weird it is that his male friend is pregnant. Users responded by urging the pregnancy test pee-er to get to a doctor right away, since a positive pregnancy test can mean something is very wrong. Apparently some types of testicular cancer cause men to produce human chorionic gonadotropin, the hormone that pregnancy tests are designed to detect. Most testicular cancers start as a painless lump in the testicles, and with early detection, the survival rate is very high. If pregnancy tests could also detect STD's in addition to cancer and pregnancy, they'd be the scariest at-home medical tests in the world.